We often have new business owners come to us unsure of what kind of business signs they need. There are several options, but we know that there are many costs involved in starting a new business venture so we want to ensure you get a great signage starter package that fits your brand. Below are the Top 3 Signs you will need to start your business. Whether you need retail sign to advertise your restaurant or clothing store or an outdoor sign to let you people know you are doctor / lawyer / professional in the area, custom exterior signs are key to informing potential clients about your business. These signs are a 24 hour advertisement for your business and should serve as memorable landmark. It should be made from outdoor quality materials that can weather the elements and the sign(s) should look attractive to your target market. Once someone comes through your door, you know they have an interest in your business. This is where a fantastic reception sign can make a difference. Your entrance-way is a welcoming area where everyone should feel comfortable upon arrival. 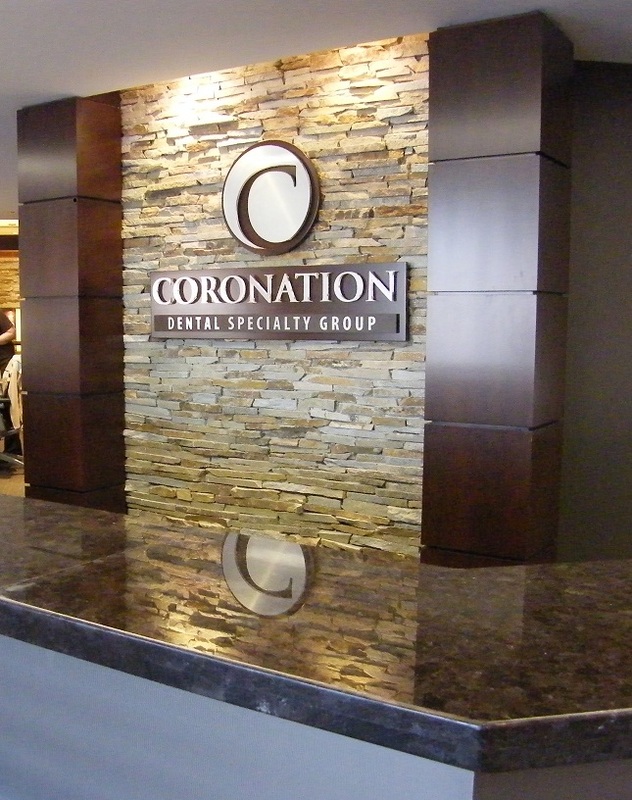 The reception sign should be the focal point of the office / showroom / waiting room to reinforce brand recognition. It should work with all the other marketing materials there. IE it should have the same logo as the pamphlets, brochures and business cards that sit in that area. The above 3 types of signs are a great place to begin when it comes to starting a business. To further establish your business we also suggest, vehicle graphics, window decals, A-frame signs and signs for your trade shows. As you can see getting the right business signs can make all the difference when it comes to beginning a new business. To get quotes on any of the signs listed on this post visit our CONTACT US page. We look forward to hearing from you and want to #StepUpYourSignage. Last year Cambridge Pallet Ltd. collaborated with Sign Depot on a new reception sign. You can read about the process at https://sign-depot.on.ca/collaborative-sign-design-cambridge-pallet. This also signified the commitment of a new ownership team that had recently been implemented and lots of changes to way the company operates including automation processes to make their workshop floor more efficient. In preparation of Earth Day we visited the Cambridge Pallet Ltd. industrial workspace to learn about their Repair, Reuse, Recycle process. 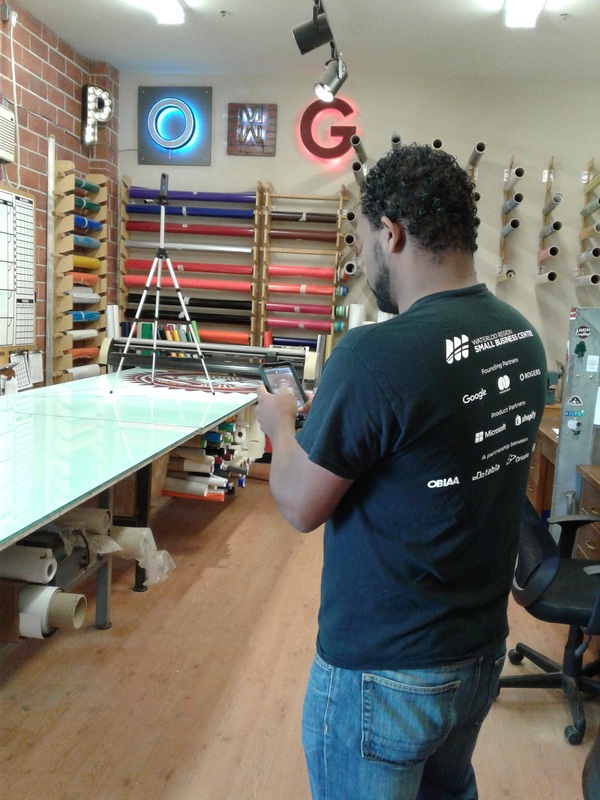 which is why we were so interested in seeing their facility and learning more about what they do. Because they make it a priority to minimize waste, conserve resources and protect the environment we think they will continue to have a very busy production line and become a leader in their industry. Does your business sign match your brand? 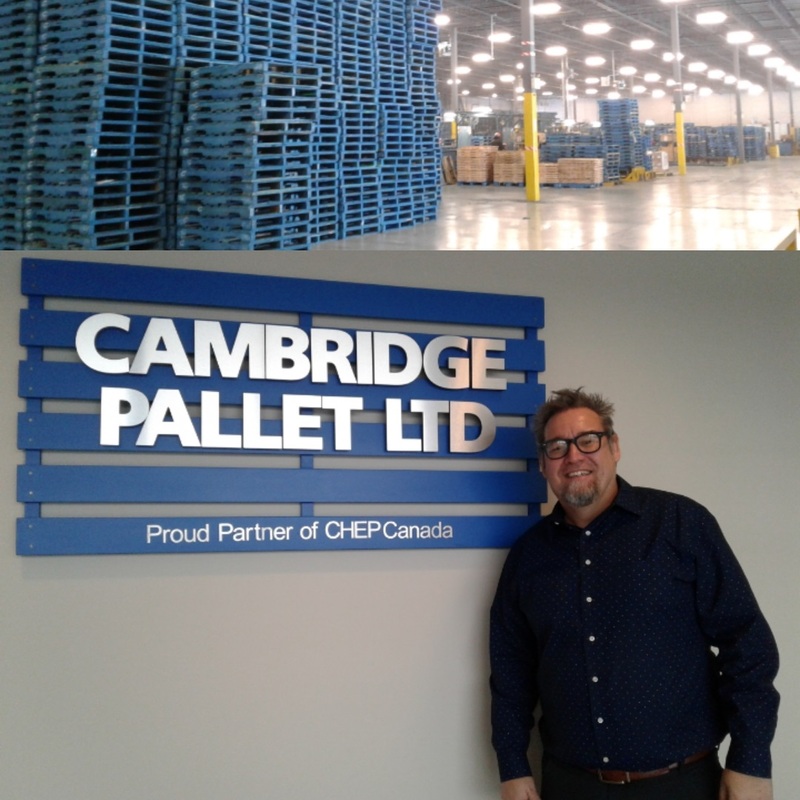 Perhaps,just like Cambridge Pallet, your sign tells the story of your business. If your signs do not match your company and your brand, then we are here to help. We can assist with integrating your company story into your business signs which will elevate brand awareness for your business. 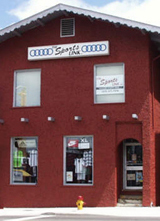 Visit our CONTACT US page to connect with our expert sign designers. Over the years we have created many signs that were covered by Facade Upgrade programs, Community Improvement Plans, Tourism Grants and Sustainability Funds. These programs are often run through funding of a province, city, town or municipality. Occasionally the private sector offers grants as well if your project falls within their specifications. Below are explanations of these terms and examples of sign projects that we have been a part of because of the funding available at that time. 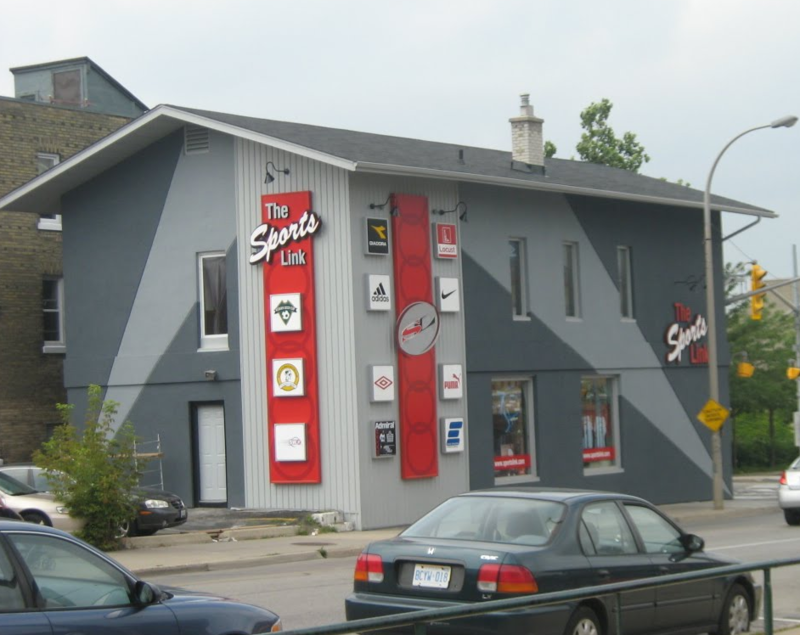 We have created several signs for clients through the City of Kitchener Facade Grant Program, but the most dramatic transformation of them all was the changes to the exterior of The Sports Link. 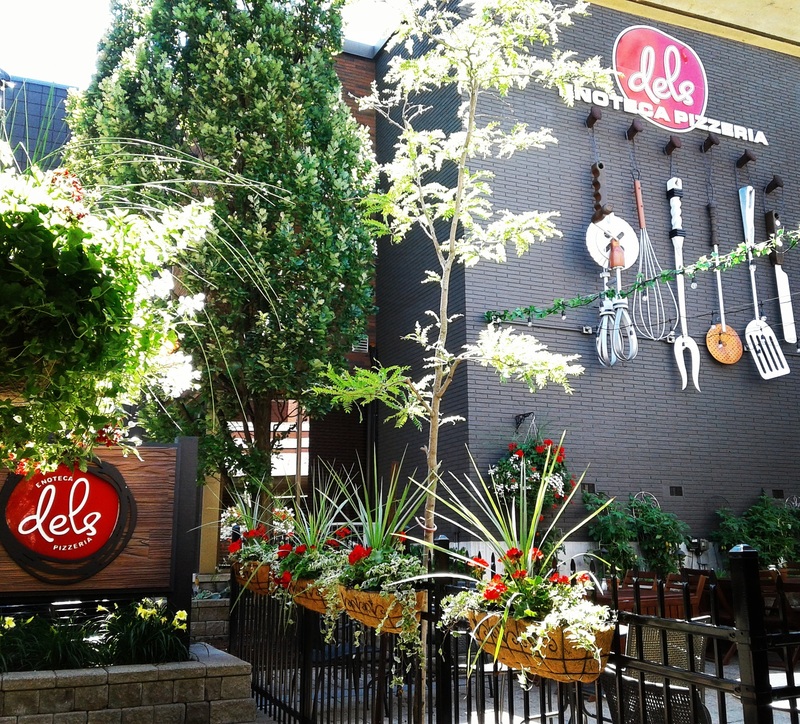 This beautification grant was created to revitalize the look of the Downtown Kitchener business core. Community Improvement Plans, otherwise known as a CIP, often includes funding for signage. This year the Township of Mapleton is running a CIP and we are excited to see what it brings to the area. Last year the City of Waterloo offered a CIP for members of the UpTown Waterloo BIA. For those not familiar with the term BIA, it refers to Business Improvement Area. The City has a CIP study area that is slightly larger than the Uptown BIA area (see general program requirements link on the CIP page near the top). The CIP study area is the catchment area for the grants, rather than the uptown BIA area. 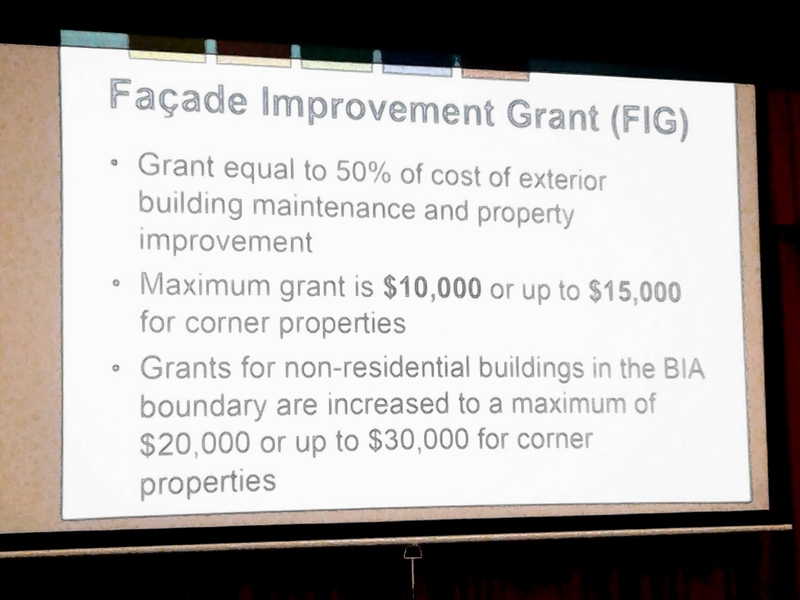 However, for 2019 the Uptown BIA is offering to double the available grants to applicants who are BIA members for their Façade Improvement works. For example, normally the maximum FIG available is $10,000 (or $15,000 if you are a corner property). In order to receive this, you would have to spend at least $20,000 (or $30,000). 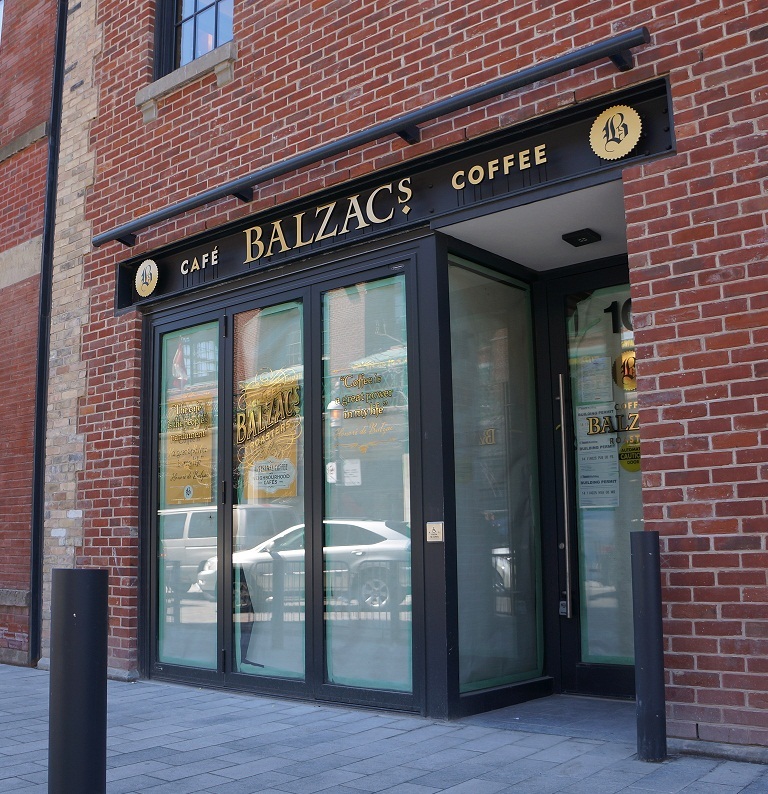 The BIA bump up will double the grant to $20,000 and $30,000, however the applicant will have to spend $40,000 and $60,000 in façade improvements to receive this. To further our knowledge about the Facade Improvement Grant in Waterloo Ontario we attended an information session. Below is a summary of what you can apply for during their SPRING application intake. 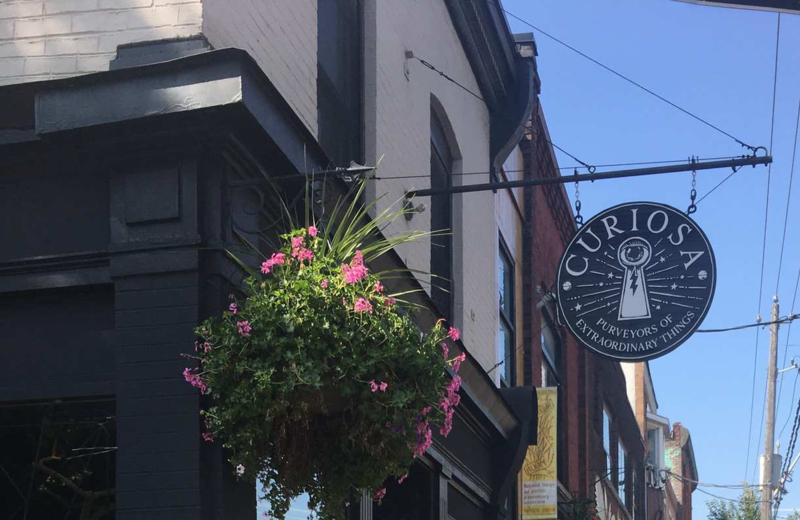 We have also learned that the Downtown Cambridge BIA has launched a Signage and Decorative Lighting Improvement Grant. • Applicants must be a recognized BIA Member (Associate Members and other businesses do not qualify). • Applicants may be eligible for one signage grant per storefront. • Qualifying applicants may be eligible for a one-time grant of up to a maximum of $1,500 for a maximum of half (50%) of the value of an eligible signage and/or decorative lighting improvement. • Projects must not have commenced prior to the awarding of the requested grant. • Eligible project costs must be actual cash outlay to third parties acting at arm’s length and which can be documented through original invoices or proofs of payment. • Projects must demonstrate a contribution to the overall quality of the streetscape of the community. 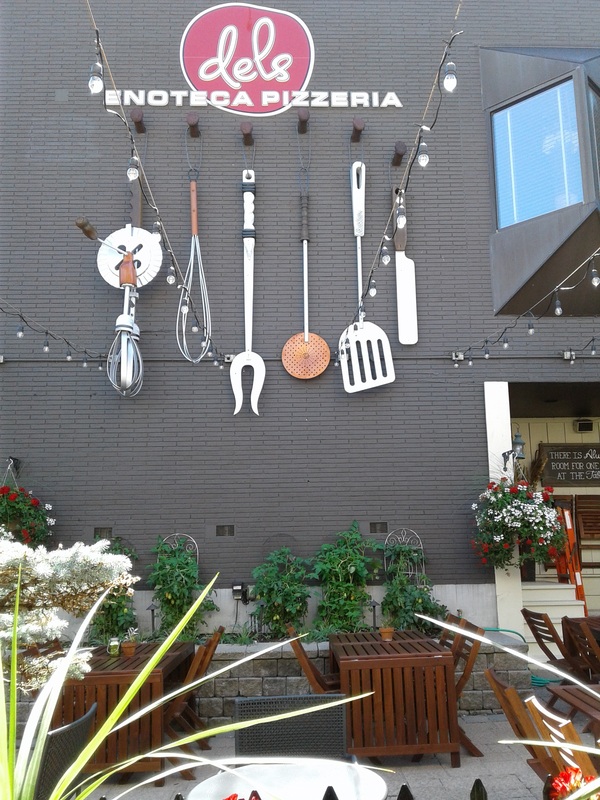 • Signage projects must be permanently attached to the building facade. 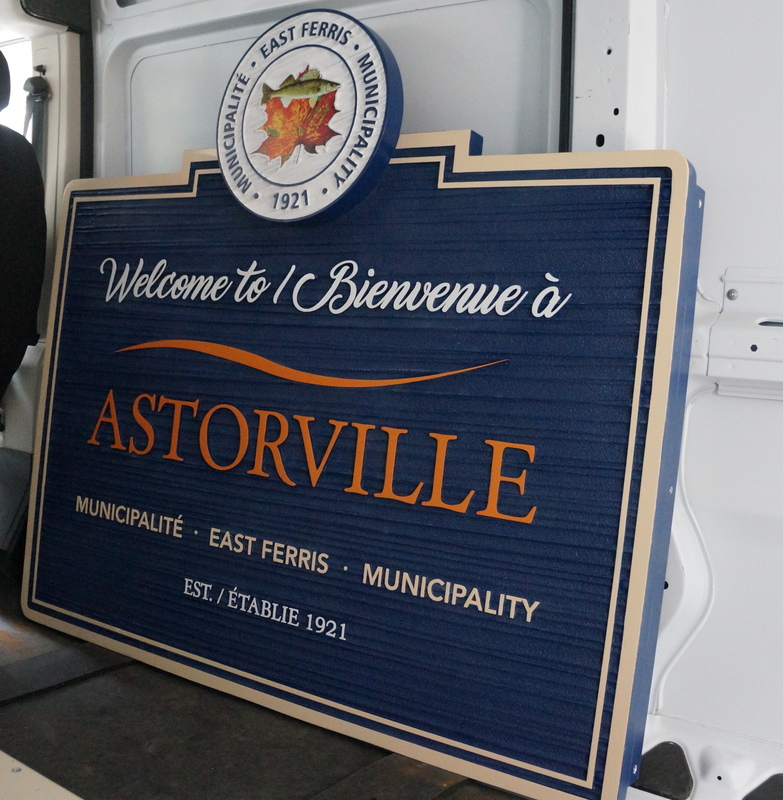 Last year we assisted the Municipality of East Ferris with their roadside signs. They received funding for this sign project through a Tourism Northern Ontario grant, and this year through Destination Northern Ontario partnership, they are adding additional signage. The City of Waterloo Park Services received funding for upgrades at Waterloo Park through the #TDCommonGround Sustainability Fund which included a new Pedestrian Entrance. As mentioned in post for 2019 projects, here at The Sign Depot we want you to #StepUpYourSignage and the financial assistance of a grant or fund could make it even easier. Here are 3 things to look for when deciding to advertise your business with custom signs. Is there sign grant or financial assistance fund available? Does your sign project fall within the parameters of the funding program? Does it also include coverage for the required sign permits? Once you have the above questions answered, then we suggest you file your sign grant application right away. Often these opportunities will only accept a certain amount of applicants and they must be granted within an allotted time frame. After you have applied and been approved for your funding ,our sign experts are here to help make your sign wishes come true. 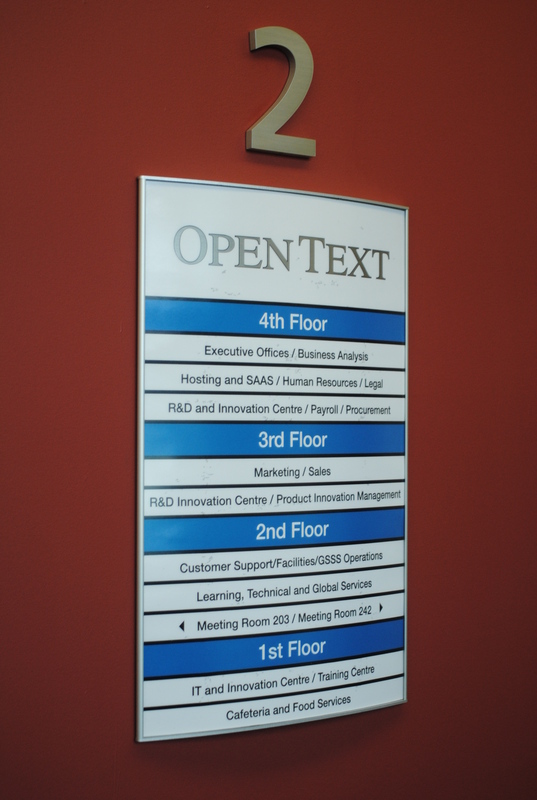 Many sign companies have standard sign templates that do not fit all industries or organizations. That is when a custom sign company can make all the difference. 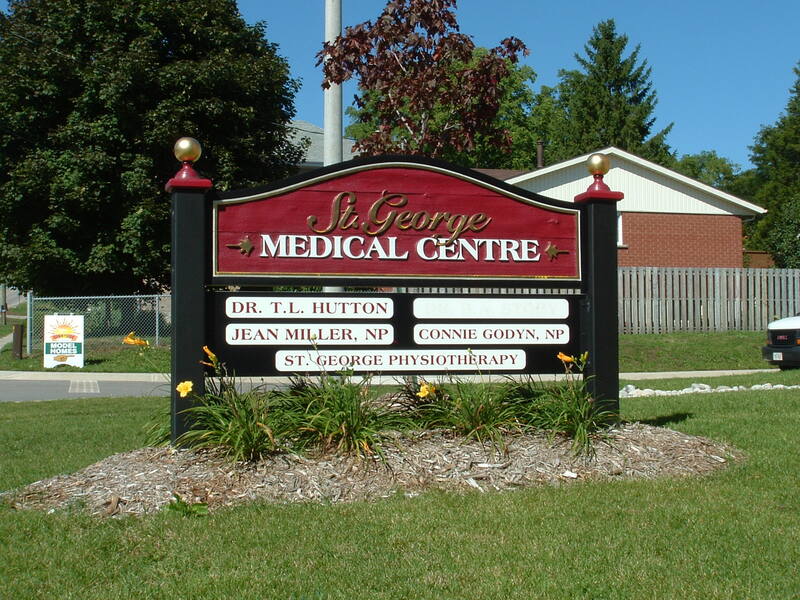 A custom sign company can create signage to suit the needs of the client. This ensures that buyer gets the perfect look to match their vision. Churches are unique in that they require several different signs. Often they have a monument sign out front to serve as a landmark. Additionally they will have a building sign with the name of the church and some churches have donor recognition signs as well. 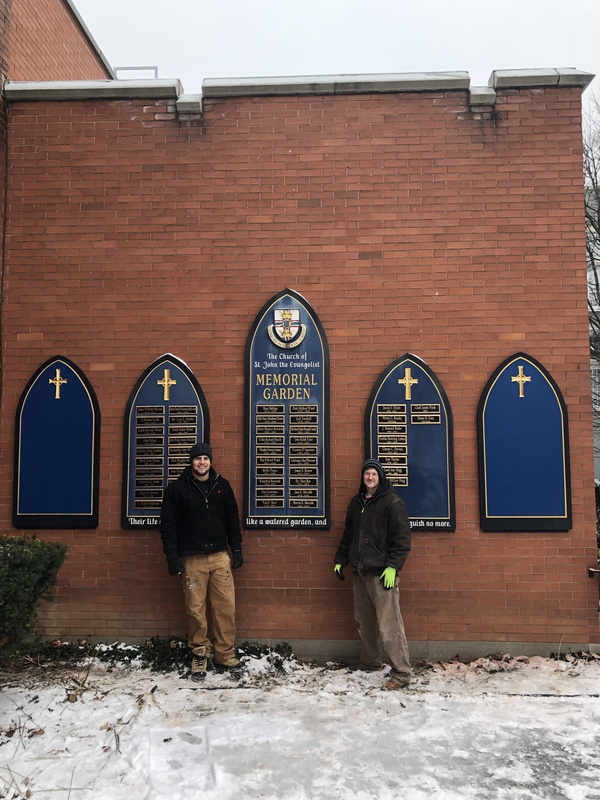 Below you can see the signs we created for The Church of St. John the Evangelist to add to their memorial garden display on an exterior wall of the building. They wanted new signs to be made from a material that could handle the elements, but still match the existing signs that were already on the building. As you can see the new High Density Urethane signs (HDU) fit seamlessly into the outdoor display. While monument signs are often found outside of churches, they are a popular choice for other establishments as well. 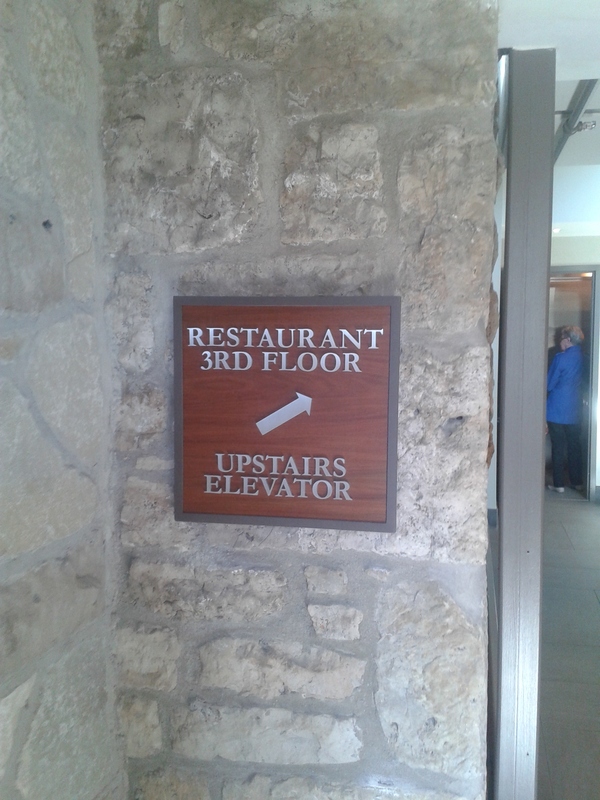 Monument signs are ground signs that are separate from the building. They have a solid base structure often made from concrete or brick. You can see examples in the images below. Custom monument signs are often used as a roadside landmark to inform visitors that they have arrived at the entrance-way. While the signs mentioned above can be looped into the category of architectural signage, they are several types of architectural signs. 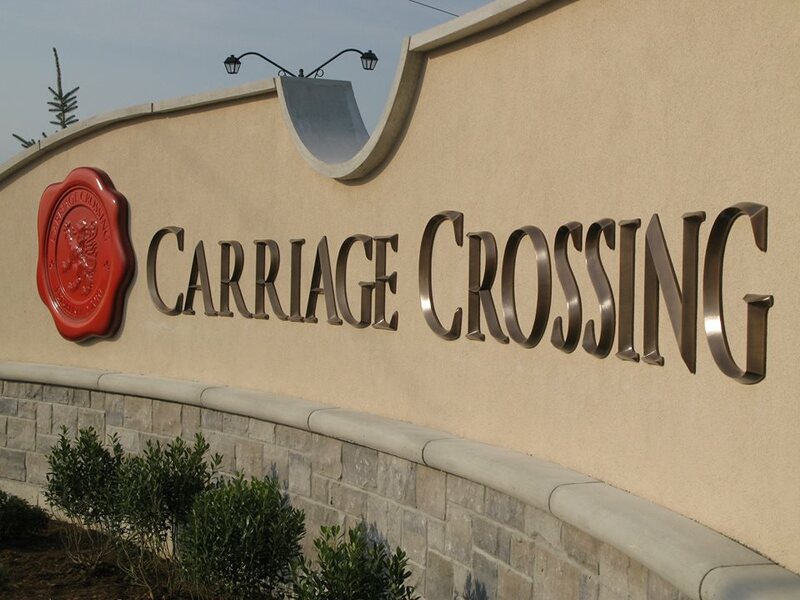 Our definition of an architectural sign is a custom sign that displays info, branding, identification and/or wayfinding. 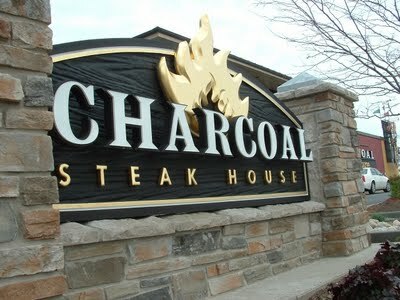 Our custom architectural signs are created to stand out from the surroundings but not become an eye sore. They are easily identifiable and display important information to visitors and potential customers. As you can see there an both digital display options and traditional options available. Choosing the right signs for your business or organization is always important. 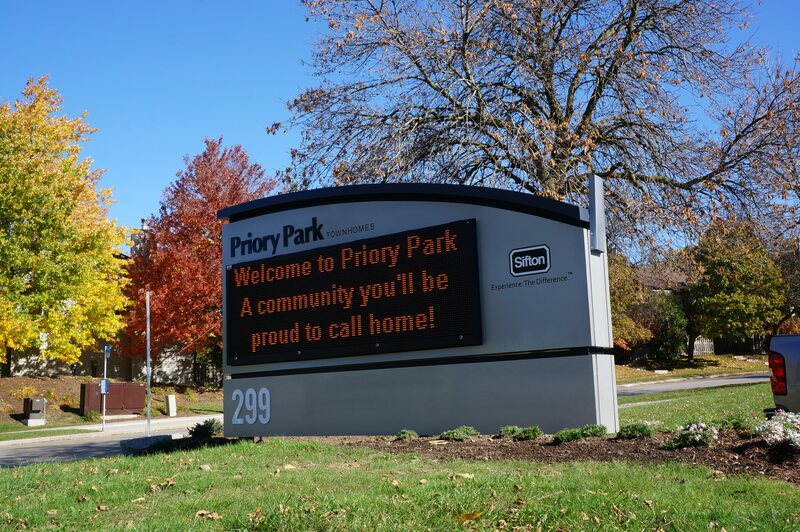 To learn more about out the types of signs we can create for you, visit our CONTACT US page to connect with our sign experts. It has been well documented that pictures and visuals perform better for the purposes of marketing, hence the rise of Infographics, Instagram and Pinterest. Even Facebook posts perform better when an image is included. This makes choosing a clear concise logo for your brand more important than ever. It will become the heart of your visual marketing strategy. It will increase awareness of your business and make your company memorable. 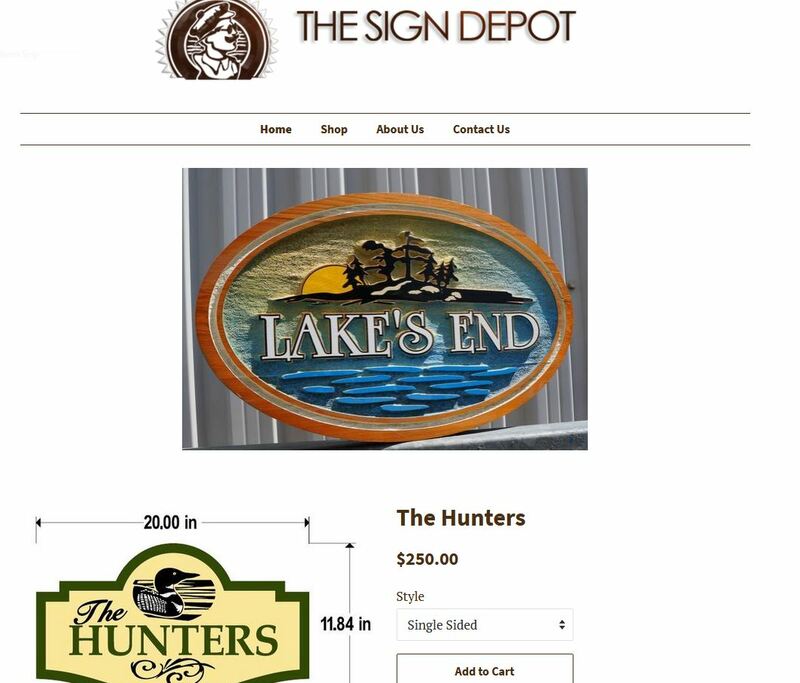 Crafting custom signs around logos is something that The Sign Depot has specialized in for the past 25 years. We create eye catching signs that keep you at the top of mind of consumers. Visual Marketing stems from Visual Communication. Visual Communication includes many elements of design to help illustrate a point. When paired with a marketing plan it creates a memorable form of promotion for your business. As the saying goes, a picture is worth a thousand words. You want to ensure the message you are conveying it easily understood and visual marketing assists with that strategy. The use of signage in your visual marketing is the best way to capture the attention of passers-by. Custom signs are critical part of any marketing plan as they provide visual marketing for your establishment 24 hours a day. 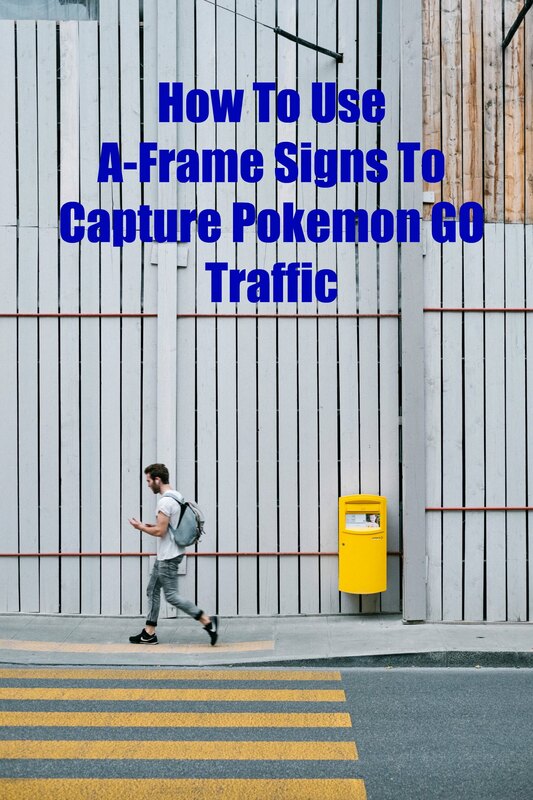 Think of the captive audience you have if your business is near a stop light or even someone taking a stroll in your area. 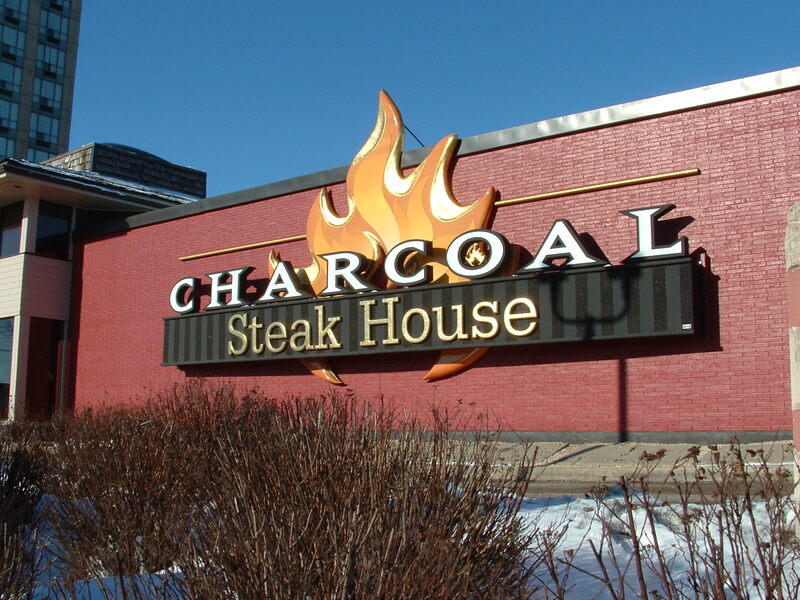 Our expert sign designers can assist you in creating that focal point for your business. We can provide you with insight on how signage can be incorporated into your visual marketing strategy and make you notable in the marketplace. To learn how we can assist with your custom signs, visit our CONTACT US page and send us note with what you want to incorporate into your signs. 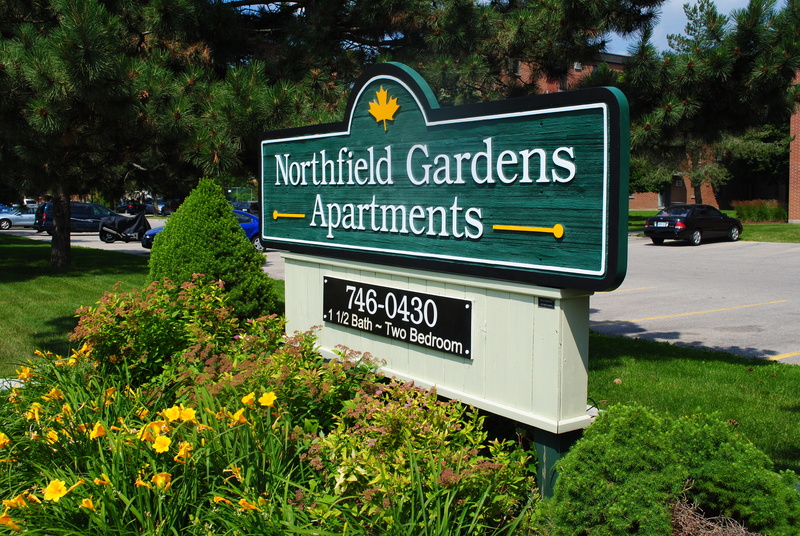 One of sign experts will connect with you to help you with your signage decisions. In earlier posts we suggested everyone should be preparing for 2019 now. 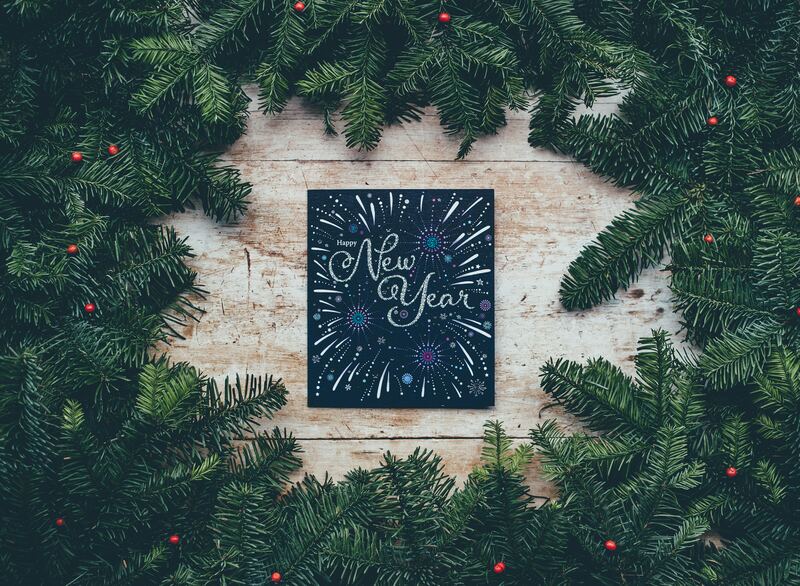 Here at The Sign Depot we have been getting ready for the new year for quite a while now. 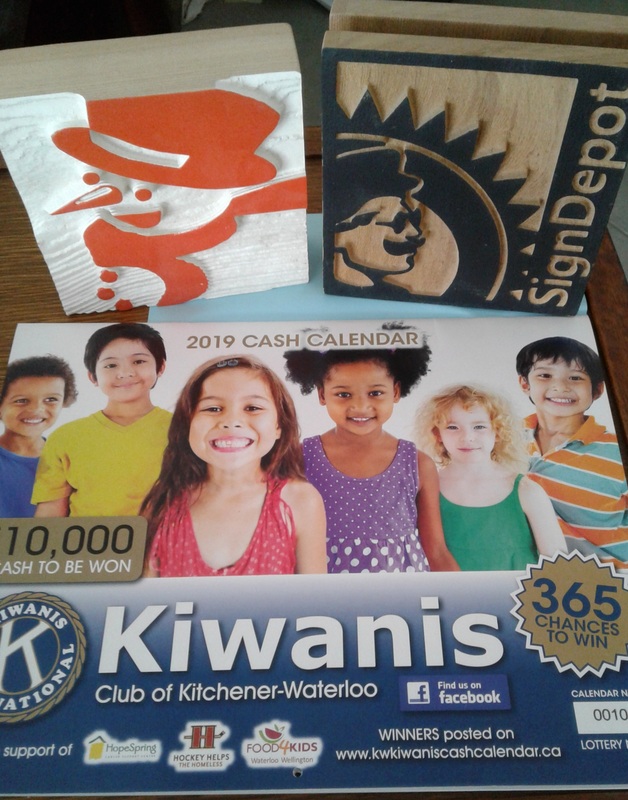 One of the first things we did to prepare for 2019 was to sponsor a spot in the first annual KW Kiwanis Cash Calendar. We learned about it through Greater KW Chamber CPN Group member Ian Inglis. This fundraising calendar is raising money for local community organizations and we are glad to be a part of this inaugural calendar campaign! Now is the time to grab your CASH CALENDAR! The cost is $20 and there is a chance to win money every day of the year! To order you own calendar 2019 KW Kiwanis Cash Calender be sure to contact IAN before they are gone. Then keep watch at https://kwkiwaniscashcalendar.ca to see if you are a winner in 2019. Don’t worry about checking everyday. If you win they will contact you. It will also make a great gift to give someone. The timing is perfect for the holiday season as Christmas present, a stocking stuffer or a Secret Santa gift. Because it is affordable and helps the KW Kiwanis Club help others our community, you may want to get one for everyone on your Christmas List. Once you get your calendar we hope you flip it open to MAY 2019 to see our ad. We are so excited about it and want to giveaway a KW KIWANIS CASH CALENDAR to one of readers! Enter the rafflecopter contest below (it may take a minute to load). Make sure leave us a comment with your plans for 2019 and it may just win you your very own KW KIWANIS CASH CALENDAR! What a great way to start off the new year. The video above shows how well it can flow into living world under the sea. This makes the colour easy to implement into colour schemes and designs. If you are looking to mix this trend into your branding, then signage is a great place to start. As mentioned in our earlier post, 2019 will be the year to #StepUpYourSignage and choosing this lively colour is great way to refresh your brand in the coming year. Here at The Sign Depot we are thinking of it as a mix of 2012’s Tangerine Tango and 2015’s Marsala. This makes Living Coral the perfect cross section of orange tones to add vibrancy to your signage. There are two ways to go about adding new colours to your signs. You can either start subtle by changing some of your window graphics, vehicle decals and/or A-frame signs then changing the rest as you see fit, or you can be bold and rebrand your company signs all at once. The first choice makes for a smooth transition, while the second choice makes a big impact. When you decide the choice that best suits your business we are hear to help. All it takes is a visit to our CONTACT US page to connect with one of our sign experts. They can provide you with a free quote and get your company on trend for the upcoming year. Want to know what else we think is trending? Follow our Twitter, Facebook, Instagram and Pinterest feeds to find out. 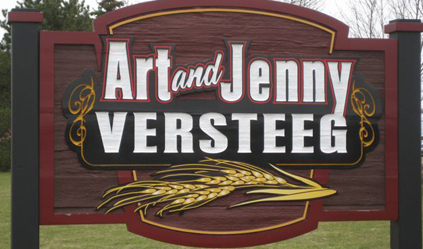 When it comes creating a custom sign for your cabin, cottage or farm we have two different methods to suit your needs. Each option has its own advantages when it comes to western red cedar signs. The first method involves a template for those not sure where to start and the second method works well for those that know exactly what they require. Either choice gives you options that work within your budget and creativity. For those wanting to create a custom sign but needing a little assistance when it comes to the look of their sign we suggest choosing our Template option. Just pick one of the sign designs at https://thesigndepotcottagesigns.com/collections/all and click on the preferred image. When the webpage for that sign loads, fill in the Text on Sign field with the name and/or words you wish to have on that sign. Above that choose the option of the Single Sided sign price or the Double Sided sign price and then click Add to Cart. Finish the shipping and payment info and your sign will be shipped to you soon. This is also a great option for gifts! Whether it is for Christmas, Mother’s Day, Father’s Day, Valentine’s Day or a Wedding Gift, a custom Canadian cedar sign is always appreciated for any occasion. 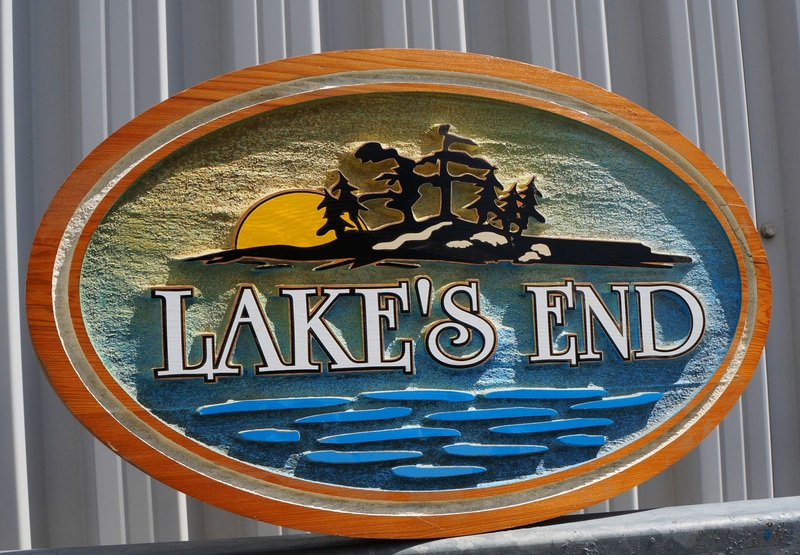 If you need a more customization than our template signs offer, then we suggest our custom crafted western red cedar signs as a better fit. 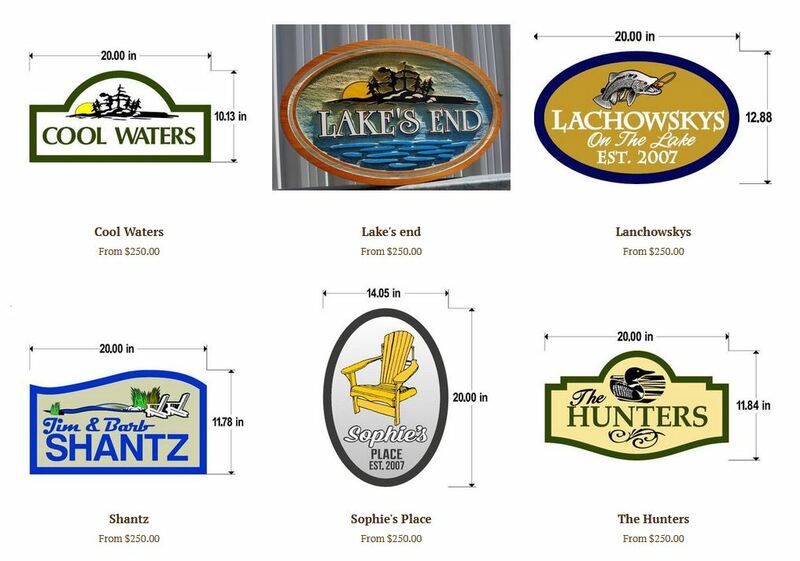 While they are a higher price-point than our template signs, a fully customized sign can be manufactured by our expert sign makers to fit your needs. You select the size, shape, colours, images and text that you require on your wood sign and it is made to your specifications. These signs are fantastic for cottage or cabin signs or for family farm signs to carry on tradition and highlight heritage. To get started visit our CONTACT US page and email us your request.